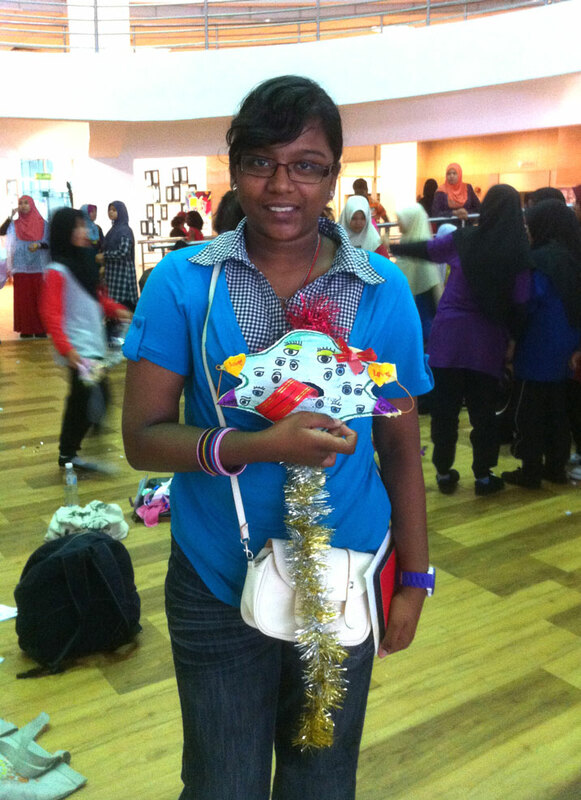 Last Saturday, I ran a mask-making workshop at Balai Seni Visual Negara. Almost 200 young humans signed up for it, from national schools around Selangor and the capital. They came by the busload and crammed themselves into the foyer at the bottom of Balai’s spiral ramp, a copy of the Guggenheim’s in New York. I’m not very good with kids, but over the years, I’ve learned to simply treat them like adults: take everything they say seriously, respect their silences, make requests instead of give orders, and expect equally to be listened to, or completely ignored. One major difference in young humans compared to older, I’ve noticed, is that the former are capable of virtuoso leaps in logic, like dancers or frogs launching from a lily pad. They’ll draw fish in a square, for example, and then tell you, that square is in deep space. Speaking slowly, searching for the right words in my halting Bahasa, I explained the idea behind the mask: when I was in school, I was a shy person. I’d gone to Chinese primary school and then Sekolah Kebangsaan, but we spoke English at home. I told the young humans how I’d dreamed of a magic tongue, that I could plug into my mouth and become a smooth talker in any language. I told them how this image helped the shy inside me reach the outside, and how eventually, that was what art became to me – the tongue between the worlds. Towards the end, when everyone was cleaning up and starting to take pictures, two teachers approached me and said they had a gift for me. They insisted on enacting a little ceremony in front of a sculpture by the entrance – just the three of us. We shook hands and mimed the handover of the gift while the other teacher took photos. It was a mini copy of the official functions I’ve sat through at Balai, feeling my life dripping away while I watched VIPs go through the motions on stage. And yet, I was touched by the gesture – there was no mistaking the teachers’ sincerity. Am I insider or outsider? 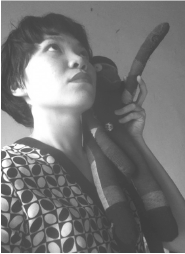 Balai always makes me feel an uneasy mix of both, as if I’m a stranger caught in a pattern – I am in it, repeating its dysfunctional bureaucratic top-down hierarchy; at the same time I’m trying furiously to weave my own threads into the warp and weft. 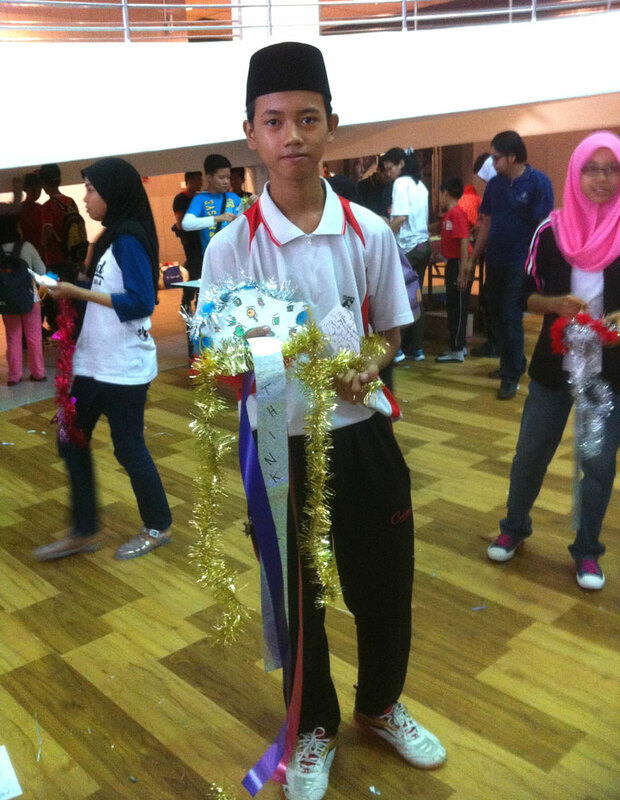 I have done projects at Balai before. My work ‘Pendatang/Arrivals‘ is currently being shown there in the exhibition Immaterial Frontiers 2.0. Outside a space like Balai, in what many Malaysians might consider ‘the real world’ (all this hippy dippy artcraft stuff isn’t to be taken seriously), the word ‘pendatang’ is a political weapon. That there is a public space where this word can have other meanings, other uses, gives me satisfaction, and hope. But for me, this workshop went beyond even that. I met people I never would have been able to otherwise. I spoke directly to them, and we we made work together. This weaving was deep and strong because others had done it with me. It would last. It was not a question of outside or inside anymore. I thought: this just has to happen a few thousand times, with other artists and other busloads of humans, young and old. That’s how society is built, woven steadily each day, like cloth. As a gift to the Internet, I am open sourcing the material I created for the workshop. You are free to copy, modify and/or print this material, for non-commercial purposes only. Please credit or linkback where possible. 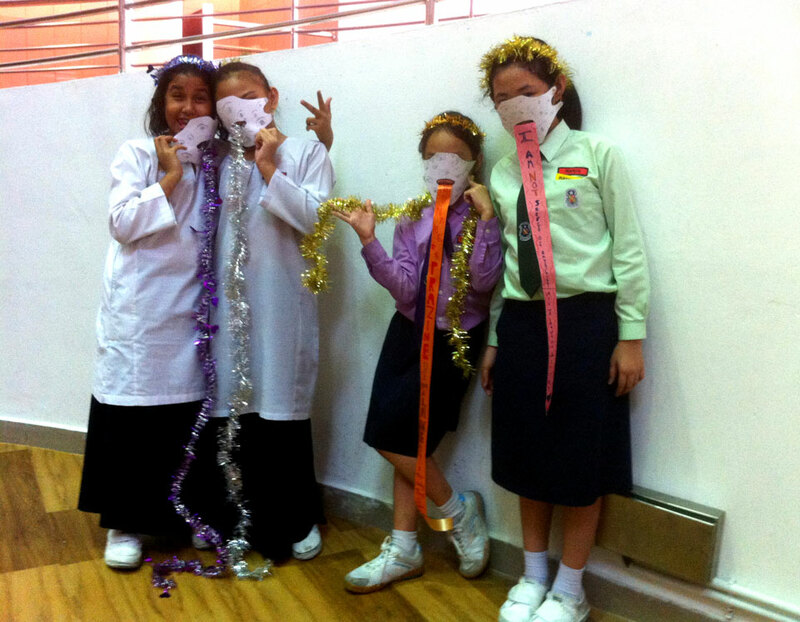 Activity: Participants will create individual face masks with a customized tongues. 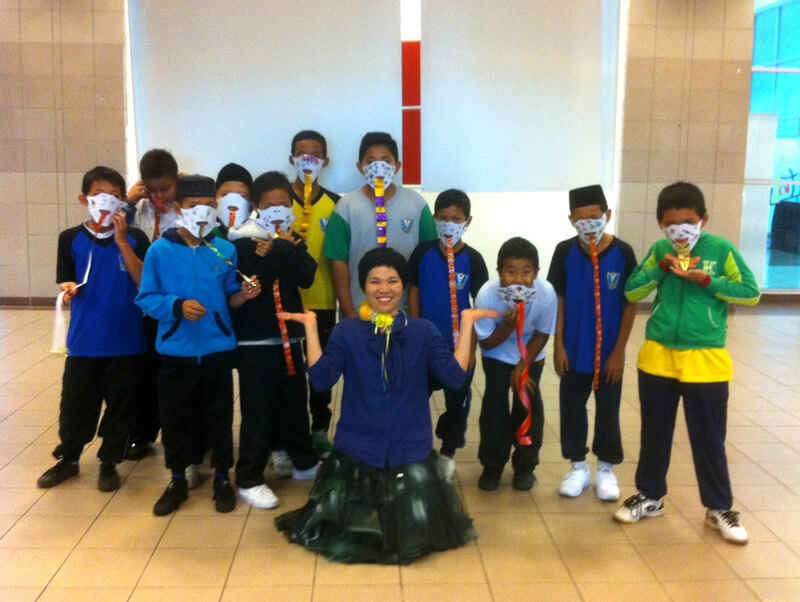 Afterwards, they put them on and think of how to pose creatively with the masks. 1. Draw eyes all over the blank space of the mask. This will face the outside when the mask is worn. Explain how drawing eyes are a way of looking back at how people look at us. 2. Turn the sheet over. When the mask is cut out, this is the side that will be worn against the face. 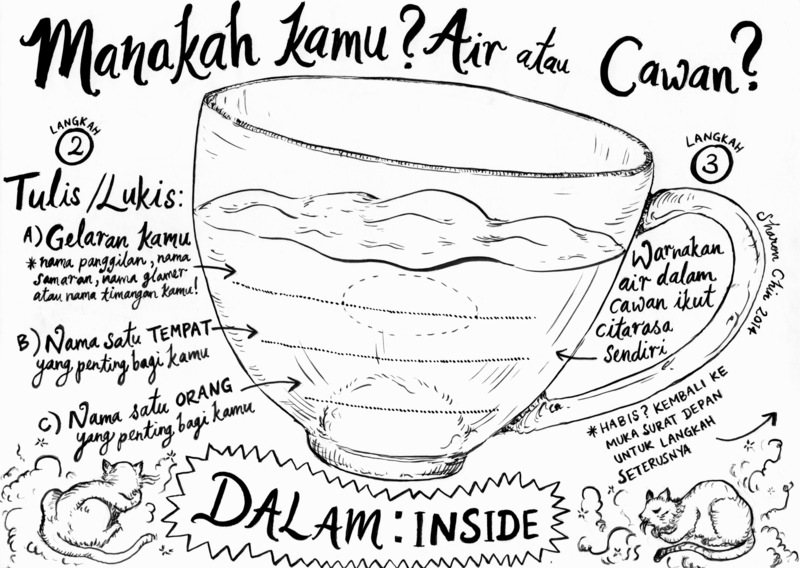 The cup of water is an image for what’s inside us. On the lines, write A) Your nickname, B) Name of a place important to you, and C) Name of a person important to you. 3. Colour the water with as many colours as you like. Remember this will be worn against the face, so use non-toxic colours that won’t transfer. Alternatively, cover the coloured area with clear cellotape when done. 4. Turn the sheet over. Cut out the mask according to the lines. 5. Make ear handles with ribbon or rubber bands. Tape or staple them down on both left and right sides. 6. Fold the mask in half and cut out the hole for the mouth. 7. Make a tongue! 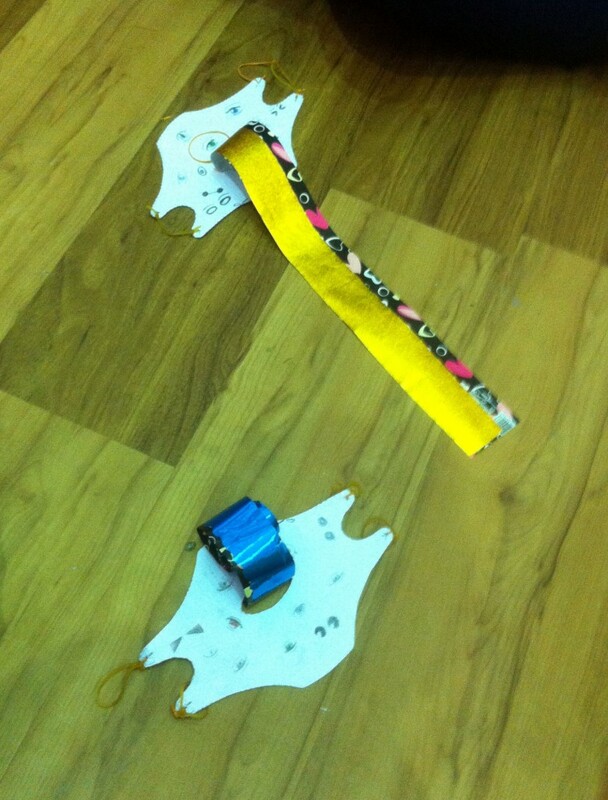 It can be from a long roll of plain or patterned paper, ribbons, cloth, etc. Think about what the tongue says and what to write on the tongue. 8. Put it on! Have fun. Thanks to Koon Tan and the staff of Balai Seni Visual Negara. 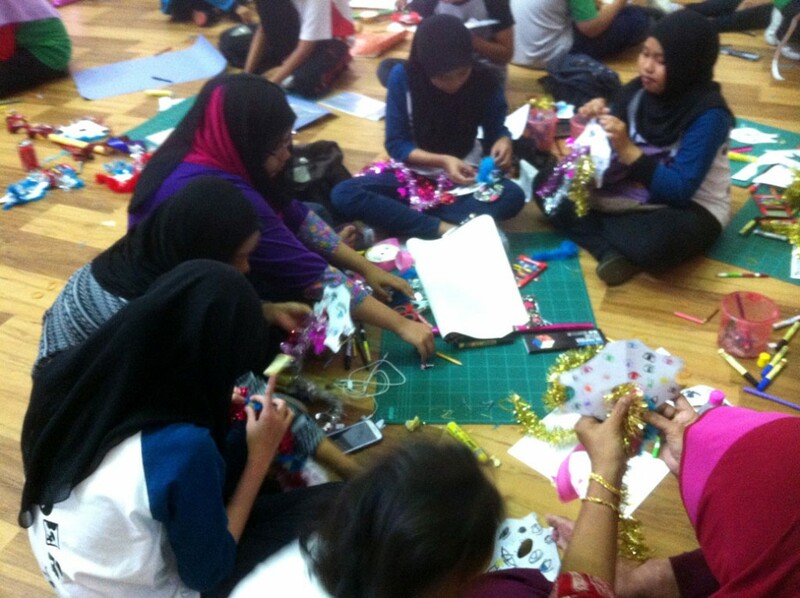 This workshop was held in conjunction with the exhibition Immaterial Frontiers 2.0, which as been extended to 2 Nov 2014. Go check it out!